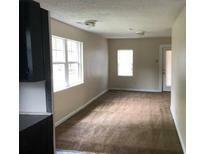 Find Austell, GA Condos for sale. View Photos, Maps and MLS Data Now! **Photos And/Or Renderings Are Representative, Not Of The Actual Property** MLS#6538178. Keller Williams Realty Northwest, Llc..
**Photos And/Or Renderings Are Representative, Not Of The Actual Property** MLS#6538111. Keller Williams Realty Northwest, Llc..
**Photos And/Or Renderings Are Representative, Not Of The Actual Property** MLS#6538072. Keller Williams Realty Northwest, Llc..
Home Comes With A 30-Day Buyback Guarantee. Terms And Conditions Apply. 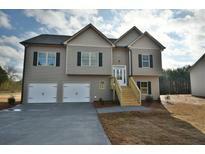 MLS#6529804. Opendoor Brokerage, Llc. Schedule Your Appt To View Today!! ! MLS#6537230. Keller Williams Realty Atl Part. 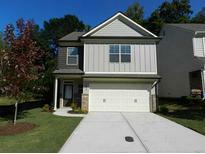 Close To Downtown Austell And Downtown Powder Springs. 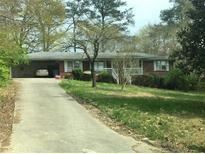 MLS#6537700. The Realty Group. This Will Not Last So Give Us A Call Today! MLS#6537534. Keller Williams Realty Atl North. Access To The Property For Viewing Will Be Obtained Upon Confirmation Of Interest. By Appointment Only. MLS#6536594. Keller Williams Rlty, First Atlanta. Access To The Property For Viewing Will Be Obtained Upon Confirmation Of Interest. By Appointment Only. MLS#6536596. Keller Williams Rlty, First Atlanta. Access To The Property For Viewing Will Be Obtained Upon Confirmation Of Interest. By Appointment Only. MLS#6536593. Keller Williams Rlty, First Atlanta. Photos Are Renderings And Not Of The Actual Home. MLS#6536476. Engel & Volkers Buckhead Atlanta. Cypress Club Cove - This Home Has Plenty Of Potential For The First Time Homebuyer Or Family Needing A Little More Space. MLS#6536383. Keller Williams Realty Cityside. This Baby Will Be Sold Quickly So Hurry! MLS#6536397. Keller Williams Buckhead. Photos Are Renderings And Not Of The Actual Home. MLS#6535686. Engel & Volkers Buckhead Atlanta. Photos Are Renderings And Not Of The Actual Home. 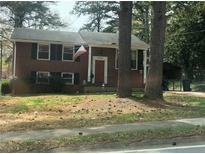 MLS#6535998. Engel & Volkers Buckhead Atlanta. Willow Bend - Near City Park, Newly Revitalized Austell Square, Highways, Downtown, The Stadium, Shopping/Restaurants, Riverside Epicenter And Six Flags! ! 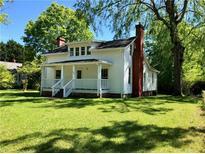 MLS#6531921. Wynd Realty. Concord Station - Patio, Privacy Fenced Yard, Deck Off The Main Level MLS#6535747. Georgias Finest Real Estate Services. Cypress Club Cove - A Few Miles From The Silver Comet Trail And Sweet Water Park Right Around The Corner. MLS#6535183. Berkshire Hathaway Homeservices Georgia Properties. Unlimited Possibilities To Craft This Into Your Dream Home, Perfect For First Time Home Buyer Or Investors Looking To Increase The Value. MLS#6534944. Jar House Llc. Master On The Main, Breakfast/Dining Area, Front Porch. MLS#6535306. Era Sunrise Realty. Oakbluff - Close To 285, I-20 And Shopping MLS#6534039. Fed-Man Real Estate, Llc..
Large Level Corner Lot Including Two Storage Buildings. 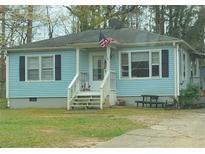 MLS#6533090. Keller Williams Realty Signature Partners. New Windows, Roof About 8 Years Old, Carpet In Great Shape! Bring Us An Offer! MLS#6531774. Allen And Associates Realty, Llc..
Dont Miss This One! Truly A Gem! 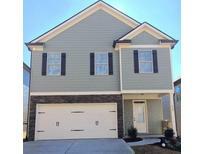 MLS#6530345. Atlanta Communities. Golden Acres - *Best Deal In Entire Area*Wow!Gorgeous Ranch Home With Full Basement In Excellent Location*Totally Updated & Shows Like Model*Freshly Painted In Designer Colors *Bright New Kitchen With All New Appliances*Spacious Bedrooms*Private B'Yrd*A Must See!! ! MLS#6530934. Drake Realty Of Ga, Inc..